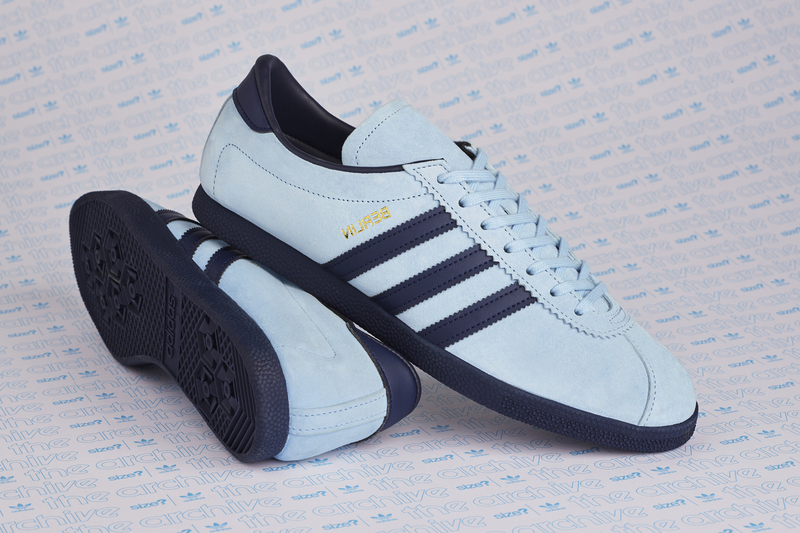 Continuing to re-issue classic shoes from their City Series back catalogue, adidas Originals have dipped back into the archive to re-release the classic Berlin, with a subtle difference. 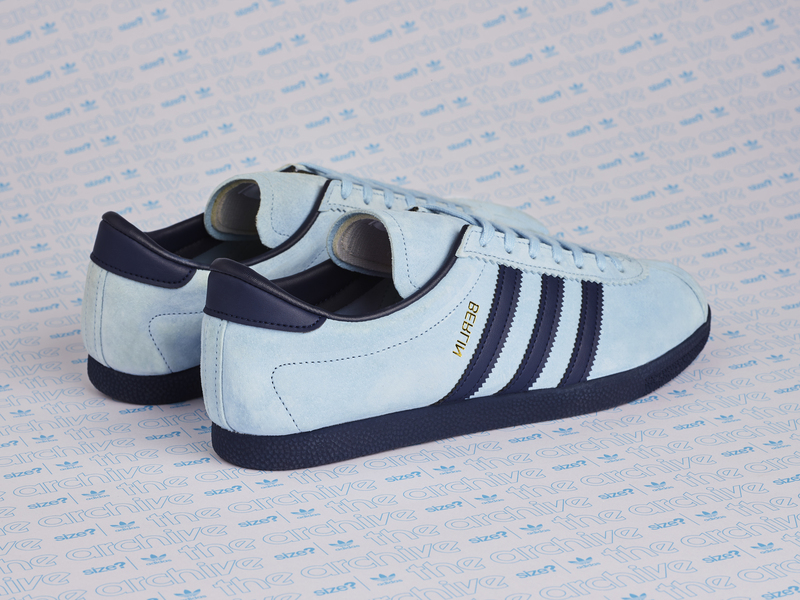 Apparently, the original foil branding on the first sample of the shoe had the ‘Berlin’ insignia printed upside-down, which has been replicated in the latest version to change things up slightly. 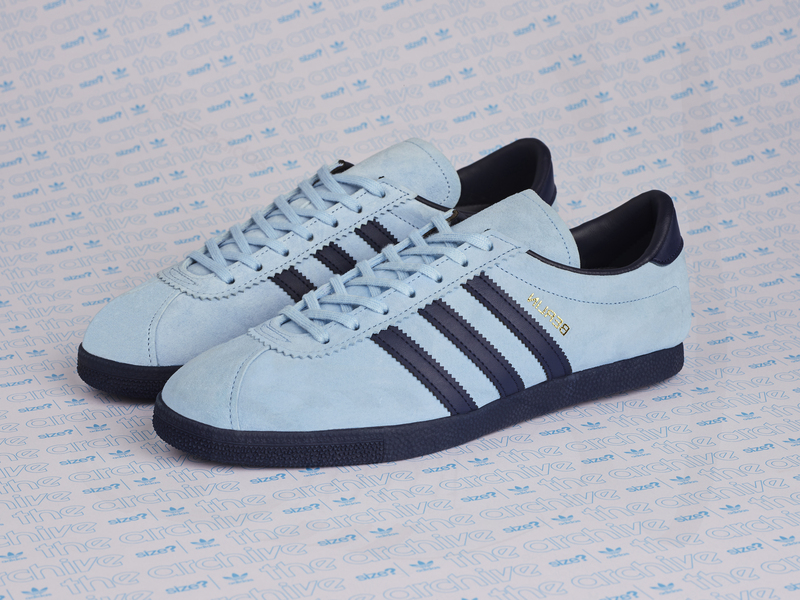 Identical in shape to other models within the’ City Series’, which consists of icons such as the London, Bern and Dublin, the Berlin is a classic within the adidas Originals archive. The simplicity and minimalist nature of the shoe is what has made it an icon, and why it’s been such sought after shoe for four decades. 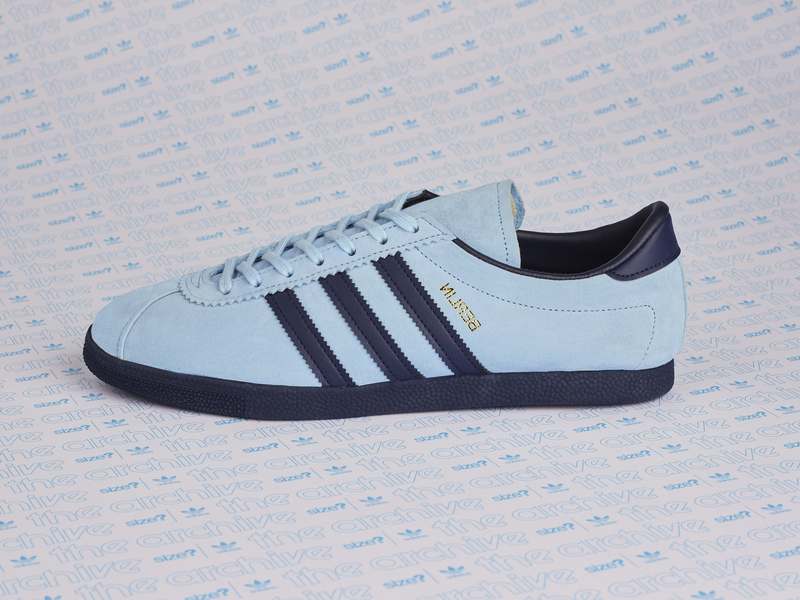 So, following on from the January ‘Argentina Blue’ and ‘Sky Blue’ re-issue, we’ve flipped the colours.This time it still features the OG palette, but the ‘Sky Blue’ occupies the upper, with ‘Argentina Blue’ three stripes, in a simple but effective colour flip. The size? Exclusive adidas Originals Archive Berlin will be available on the size? previews app and in all size? 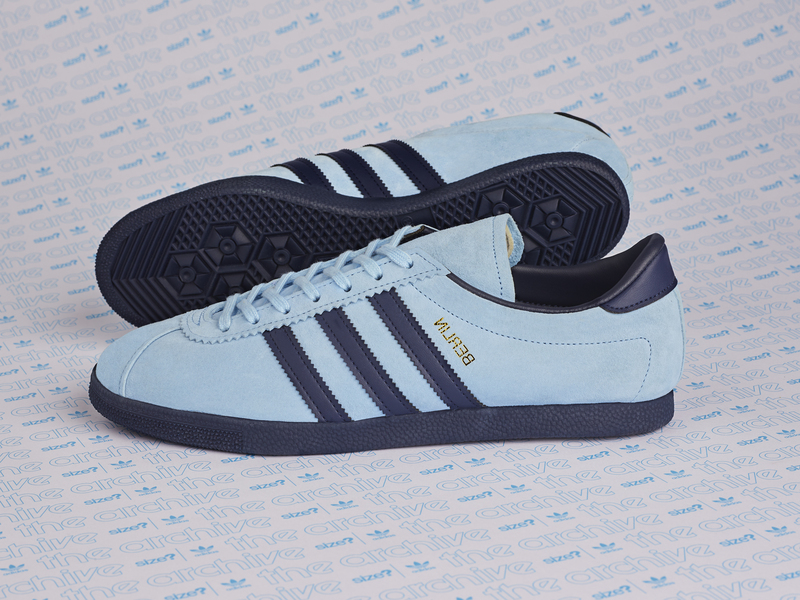 stores on Friday 30th March, priced at £85.